The "unexplained" death of a man whose body was found in a street is no longer being treated as "criminal", police have said. Six people were briefly held on suspicion of murder after Spencer Bryan Galvin was found dead near Church Road Marina in Douglas on 8 April. 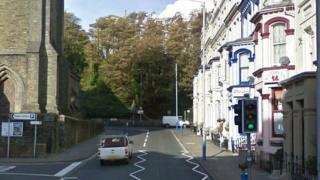 Manx Police said the Ramsey resident had injuries "consistent with a fall". A force spokesman said "after various enquiries", the 43-year-old's death was "not being treated as criminal". He added that officers were continuing to support Mr Galvin's family. Police previously said the six people arrested "near to the scene" on suspicion of murder were released without charge and would face "no further action".